The Christmas show will go on this year at the home of one Idaho man who takes a next-level approach to the holiday: his local homeowner’s association has decided it won’t sue him over his display, which in the past included hundreds of lights, a live camel, carolers and of course, Santa Claus. 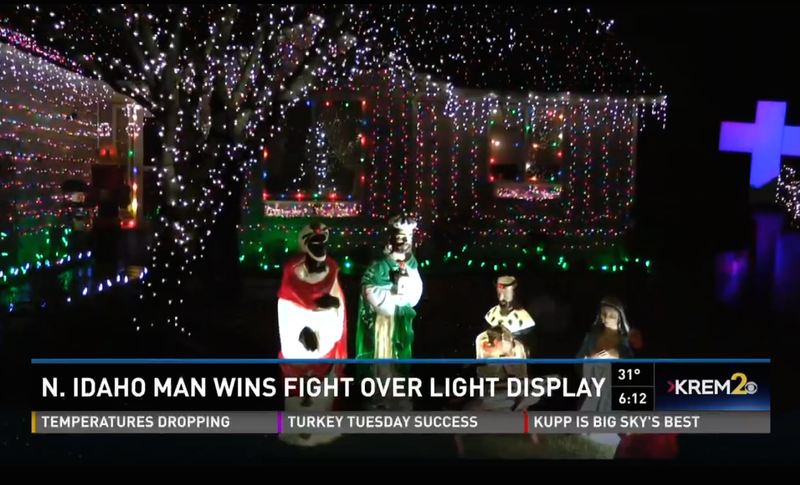 The HOA and a local law firm told the homeowner after his first event in 2014 that the light show went against clauses in his home agreement including noise levels, excessive brightness and nuisance, reports KREM-2. On Oct. 26, the board sent the man a letter threatening to sue if he put on his Christmas light show for the second year, and gave him 10 days to respond before legal action was taken. The clock ticked onward and past that deadline, and no lawsuit had been filed. The vice president of the HOA board said Tuesday that the group wouldn’t be suing, noting that they hadn’t been opposed to the decorations. Instead, they had a beef with the extra traffic and noise the event would bring to the area. “I’m really pleased to hear that they’re moving beyond this threat of litigation. I think the reason is obvious. That is that I never violated any rules,” the homeowner told the new station. He added that last year’s event was also a fundraiser, allowing him to donate hundreds of dollars to local children’s charities.